Caloundra 1000m-record holder Tarzan (right) will be out to maintain his dominance at the track. Bragging rights about which horse is the best at Caloundra over 1000 metres are up for grabs. Rarely has the one race featured four horses with such strong track and distance records as Saturday’s Latitude Construction Consulting Handicap. Heading the way is Tarzan who holds the 1000m-record at the Sunshine Coast track. He has had 11 starts at the track and distance for seven wins and three seconds. 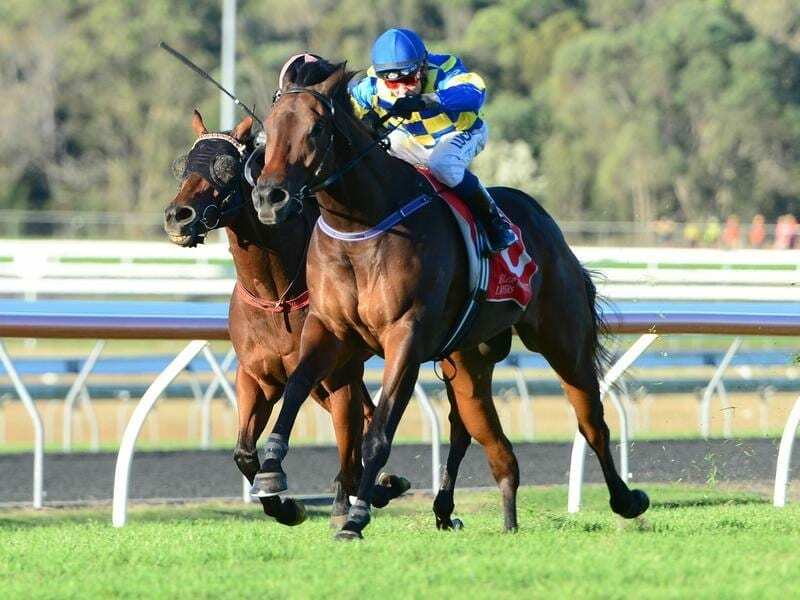 In his record-setting win last year Tarzan beat Ringo’s A Rockstar by a nose and that gelding got his revenge two weeks ago in a 1000m-race at Caloundra. It took Ringo’s A Rockstar’s Caloundra 1000m-record to four starts for three wins and a nose second. Third in the race two weeks ago was Irish Constabulary whose track and distance record stands at six starts for four wins, a second and a third. Completing the quartet is race favourite Tumbler who has had three starts at the track and distance for a win and two seconds including when runner-up to Tarzan in the Listed Lightning Stakes last month. Tarzan’s trainer Stuart Kendrick is looking forward to Saturday’s clash. “We were thinking about going to Grafton last Thursday but his record at Caloundra is do good why not stay here,” Kendrick said. Ringo’s A Rockstar’s trainer Norm Stephens also accepted with the gelding in the Class Six (1200m) but elected to go with the 1000m-race. “He had the same weight in both but was better drawn in the shorter race,” Stephen’s son Wayne said. The John Symons and Sheila Laxon training partnership has stuck with apprentice Stephanie Lacy on Irish Constabulary. “We meet the other pair slightly better at the weights,” Symons said. Tumbler’s trainer Barry Lockwood is confident the mare can get back in the winners’ list after her last-start second in the Group Three Healy Stakes at Doomben.